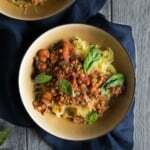 Carrots, cabbage and peppers give it an added crunch. 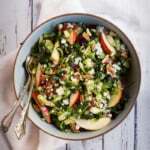 I topped mine with toasted almonds and cilantro. The flavor combination is completely lovely. I so wanted to be healthy on Halloween. I thought about giving kids apples and carrots, but that’s just mean. I also wanted to eat fish sticks with tarter sauce for dinner and bubble gum push pops for dessert. Clearly wrong, but obviously delicious. Fish sticks are no way to live! They come from a fisherman named Gorton, who isn’t even real and sports an awful yellow raincoat. Push up pops on the other hand are somewhat acceptable especially since the Schwans man hand delivers them. I need to resist my cravings! I’ll stick to california rolls and Asian Edamame salads for now. Delicious. Speaking of California, I’m going there in a little over a week. I’m going to stuff my face with sushi, go to Disneyland, and cook my heart out. Hopefully go surfing too. After that comes Vegas… Wish me luck. 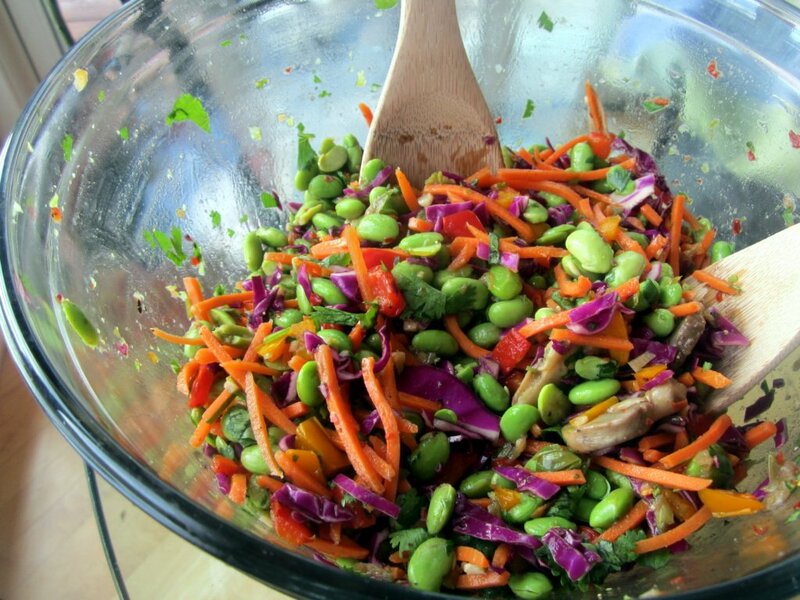 Combine edamame, peppers, cabbage, carrots, and cilantro in large bowl. To make your dressing combine soy sauce, spices, and garlic in a small bowl. 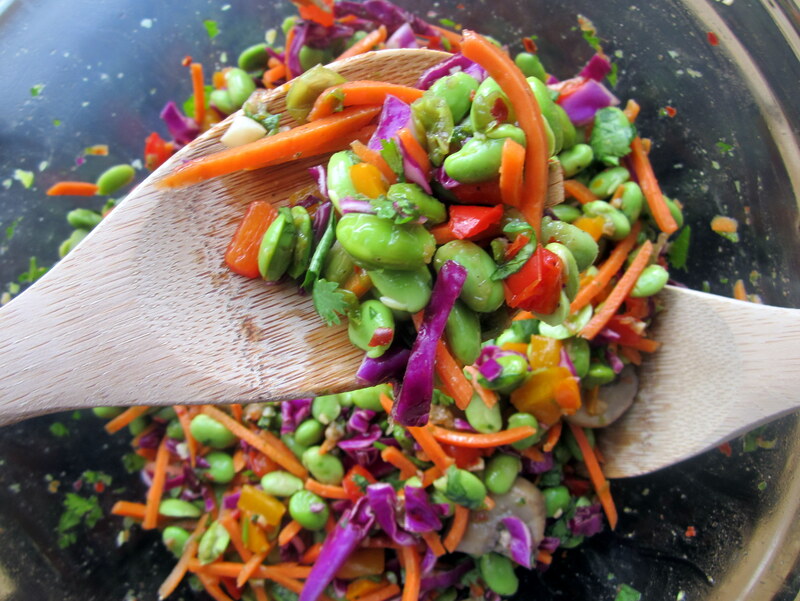 Add dressing mixture to edamame salad and combine until salad is fully coated. Add in cilantro and mix again. Sprinkle toasted almonds on top if desired. 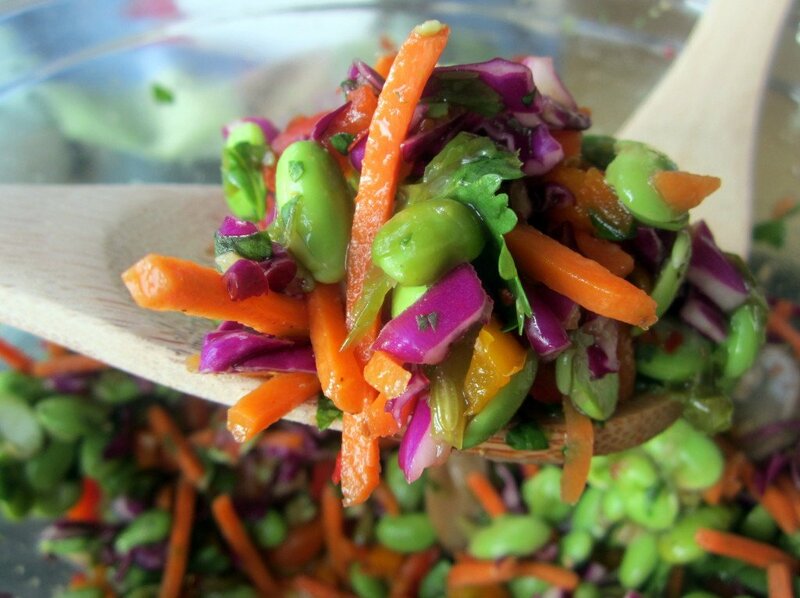 45 Responses to "Asian Edamame Salad with Cilantro and Toasted Almonds"
The colors in this salad are just absolutely stunning! Cannot wait to make this on Saturday! This looks absolutely delicious!! 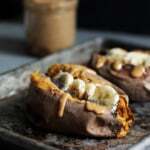 I’m making this as soon as I get to the grocery store next!! Some of my favorite things! That salad is a winner for sure! Do you use ground ginger or fresh ginger? Looks so yummy. I can’t wait to make it! Going to make this salad. That’s amazing. I’m so happy! I’ve linked you to the recipe on my blog! Im planning on making this for a luncheon. 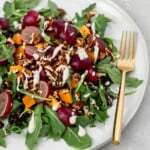 Is the dressing ok to sit on the salad overnight? I would really like to make this, but I'm nursing my son and he REALLY doesn't do cabbage. Do you have any ideas for an alternative? Perhaps you could leave the cabbage out and double other veggies? So yummy! I tweaked it a bit because I needed to add a bit of fat to it, so I added a tablespoon of sesame oil. I also added scallions. Will definitely be making this again! BTW I made your Barefoot Contessa seafood chowder. Yum! Jennifer Faiella Flynn – it was so good! The only pain was having to shell the edamame because I couldn't find already shelled. Still worth though! Has all the stuff we love. I think even I can make this. Sherrie Tromp It was so easy! I'll make it the next time we get together, which is hopefully soon! 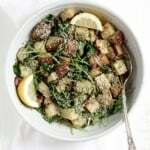 This is a great recipe, I just made it for my boyfriend and it was a huge hit. 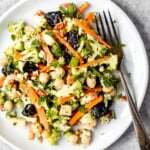 I made this salad and it is awesome! This looks wonderful. Do you prefer to use fresh ginger or powdered ginger in this recipe? 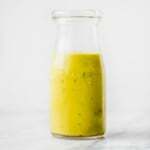 What “spices” are in the dressing? Mine is salty even though I used low sodium soy sauce. All I see in the ingredients are soy sauce, garlic and ginger. The vegetables are great! I’m missing something with your dressing ingredients ? Looks wonderful and I enjoyed reading comments, plan to this make tomorrow for as a lettuce wrap. For the ginger- is that fresh or powdered? Thank you. 2) Added 1 green apple and 1 a beautiful watermelon radish because these are in season and waiting to be used!